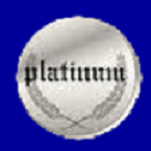 �We are pleased to offer four terrific birthday party packages: GOLD, PLATINUM, SUPER and the GOLD SHOW + WORKSHOP. Each show is customized for the ages of the children in the audience. The children are involved and laughing from beginning to end. All shows are high energy and family-rated with no fire, knives, swords, etc. We also offer Magic Workshops where children ages 10 and up enjoy a magic show and then attend a workshop where they receive and learn magic tricks they can do for their family and friends. Payment is simple - cash or check right after the show. Rob is Hampton Roads #1 Children�s Magician and has performed at thousands of birthday parties. Rob offers features and benefits not available from other magicians. Rob is a proven professional that children love and that you can feel comfortable inviting into your home. 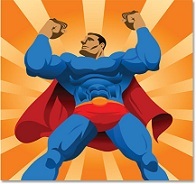 Rob is a JD and a CPA doing what he loves � delighting children and families. Rob is licensed and insured and your satisfaction is guaranteed. 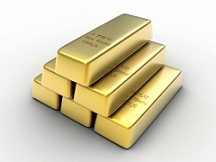 We recommend you ensure any performer you consider offers the same assurances �most do not. Years from now when your child looks back at this birthday, he or she may not recall the food served, the gifts received, or even how nicely you decorated. Your child will always remember the time the amazing magician visited and the birthday child became a magician too. Your child will always remember the fun and laughter. And the photos you take of your child and your child�s friends laughing will be a wonderful reminder forever. You want the best � Rob Westcott the Magician. Award-Winning Magician Rob Westcott brings his Magic Van to your home to make your party an amazing success! Rob is the only magician in Hampton Roads who performs as a classic magician in top hat and cape! Rob calls the day before the show to reconfirm. The birthday child also wears a top hat and cape! The birthday child is the star of the show and is up front making the magic happen for nearly half the show! 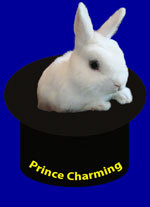 Prince Charming the beautiful blue-eyed pure-white live bunny rabbit magically appears! All the children get to pet the bunny � which is a real thrill for them! The birthday child can have pictures taken holding Prince Charming in his top hat! 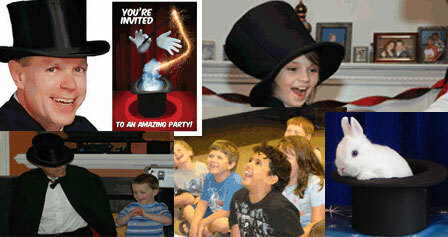 45 to 50 minutes of amazing magic and fast-paced fun and all the children participate! Parents are encouraged to take photographs throughout the show! Every child receives a magic trick � a tiny magic fish that moves in their hands! If there is a VIP (best friend, sibling, or grandparent) who would like to participate, let Rob know before the show and he�ll have a special part in the show for that person! Guarantee: Rob guarantees that you and your child will love the magic show, or you owe nothing! The birthday child will FLOAT in your living room, or, the birthday child�s head will disappear! 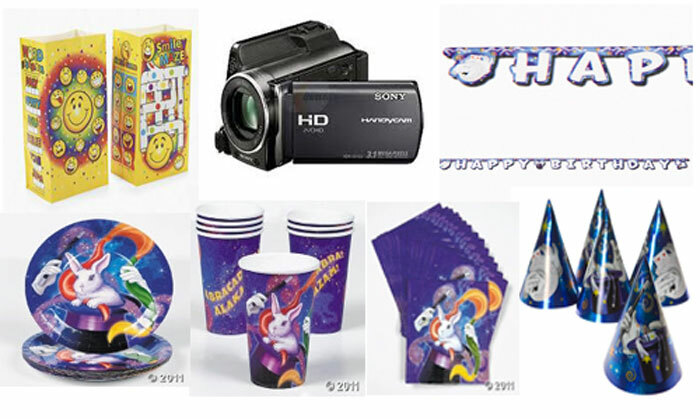 The birthday child receives a�Deluxe Party Bag with a magic wand and 8 other cool items! Your home is converted to a �theater� with a 6� wide, 6�6� tall backdrop curtain. The birthday child magically produces the live bunny by waving a magic wand that is 7� long! If desired, we take time after the show to pose the children for you to take a group photo with the birthday child holding the bunny and you can take a picture of each child holding the bunny! The Show (30 minutes) + Workshop (30 minutes). After the show Rob teaches the children six or more magic tricks. You are authorized to videotape the entire show and workshop for private viewing. You can take a group photo with the birthday child holding the bunny. You can take a picture of each child holding the bunny.